The term amyotrophic lateral sclerosis mimic syndrome (ALSms) includes pathologies that present signs or symptoms similar to those caused by amyotrophic lateral sclerosis (ALS), which can lead to misdiagnosis. In general, any kind of misdiagnosis can result in negative clinical, psychological and economic consequences as well diagnostic and treatment delay. The objectives were to determine the frequency and to compare the demographic and clinical characteristics of patients with ALS and ALSms in our ALS clinic. We retrospectively studied all patients evaluated from 2007 to 2017 including only patients with a definite final diagnosis. Out of 368 patients with motor neuron disease symptomatology, 43 (11.7%) had an ALSms. The most frequent etiology was compressive myelopathy (32.6%). 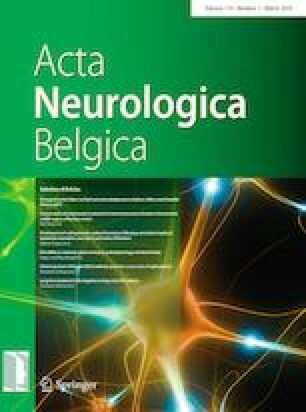 Multivariate analysis considering positive associations was statistically significant for patients having only upper or lower motor neuron signs in the physical examination, a non-compatible electromyogram (EMG), as well as atypical first symptoms. ALS misdiagnosis is an ongoing and not infrequent problem. From our series of patients, atypical symptoms, absence of EMG pathological findings or isolated upper or lower motor neuron disease should prompt suspicion of a differential diagnosis.